Set of 240 resources that will allow you to quickly and easily add a professional finish to your images. 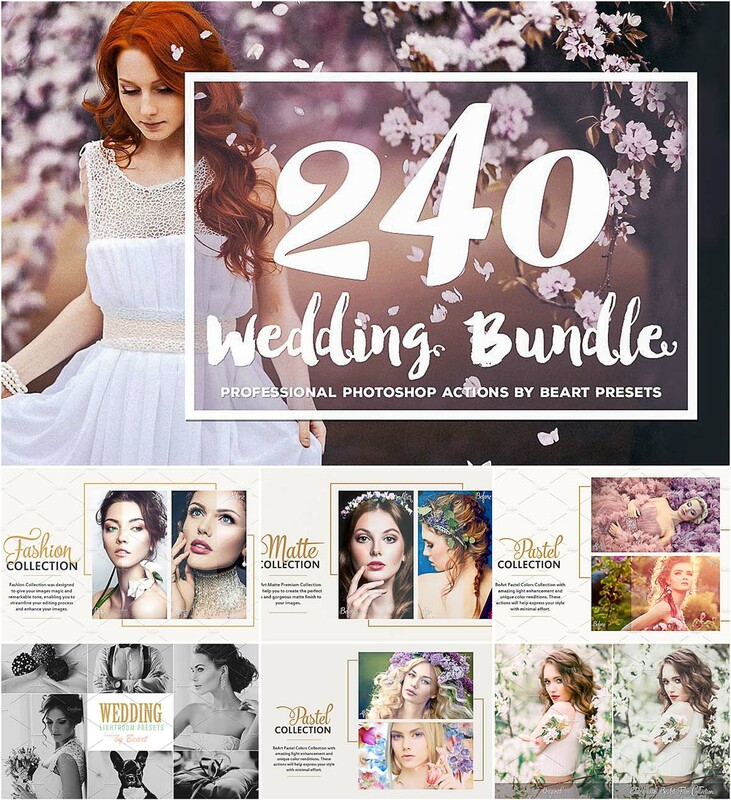 You will receive 6 collections: wedding, vintage wedding, film wedding, fashion and matte effect. File format: .xmp, atn for Photoshop or other software. Tags: action, fashion, lightroom presets, matte, photography, photoshop, retouch, wedding action.